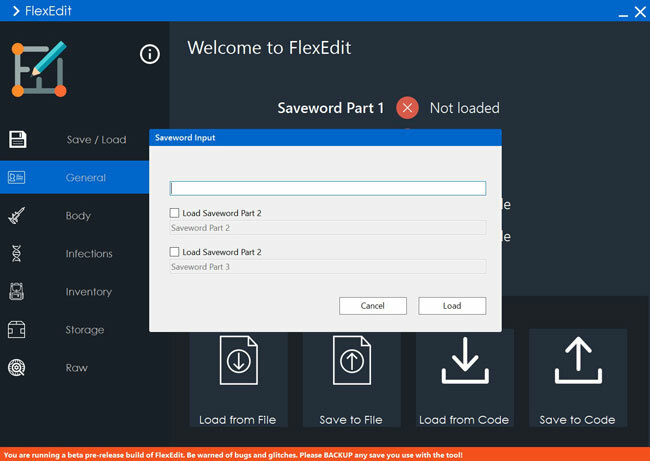 A few weeks ago I set out to create an editor to make 'save editing' simple and safe. 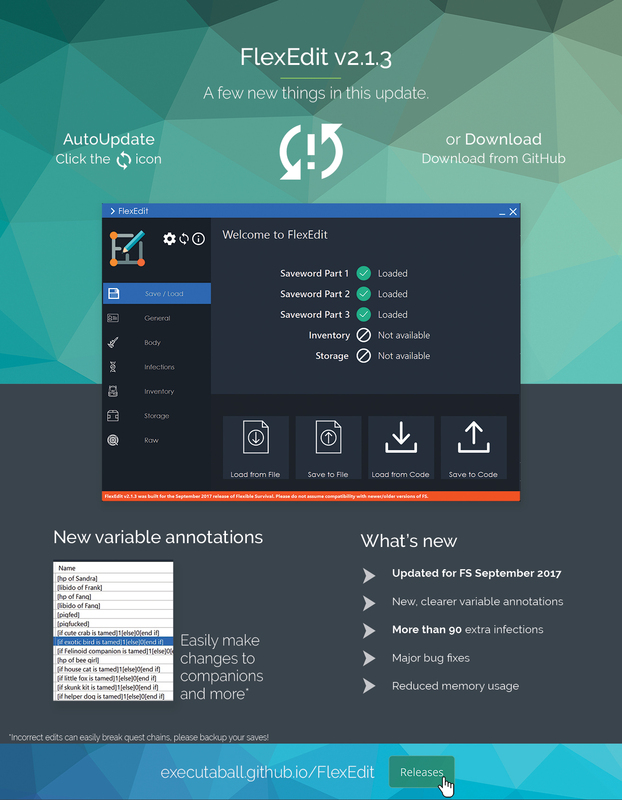 Finally I've got something I feel like can be released, so here is the first public beta release of FlexEdit. More information is in the README. The program does not have to be 'installed' to run. However you do need at least Microsoft .NET Framework 4.7. 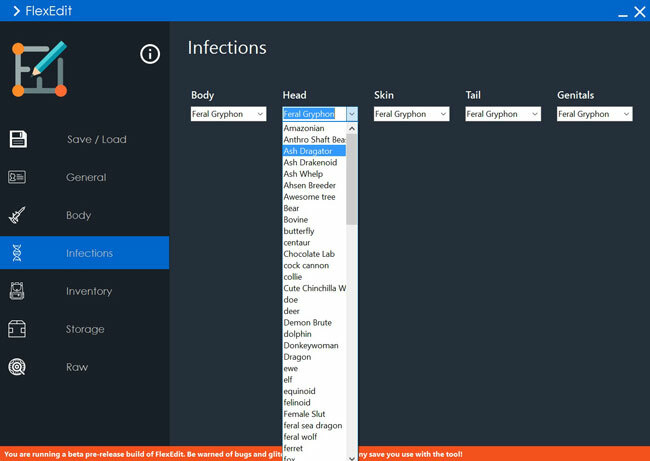 (If you are running Windows 10, you most likely already have this.) If you do not have this, please use the following link to update your .NET framework. Please leave a comment to let me know what you think! Even if you did not download the program! You can reach with a PM or email 'executaball@yahoo.com' for faster response! If you decide to get it and encounter a problem, I will try to assist you in every way possible! Please send me a message! Last edited by executaball on Tue Oct 10, 2017 10:39 am, edited 9 times in total. 6/4/2017 - v2.1.1 beta -> Implemented updater, settings screen, and automatic backups on save to file. Raw variable edits, backup file creation, and autoupdates can all now be configured in the settings screen. 5/28/2017 - v2.0.15 beta -> Rewritten code in preparation for update system, icon and ui changes, revamped annotation system, numerous bug fixes. 5/11/2017 - v1.0.7 alpha -> HOTFIX build. 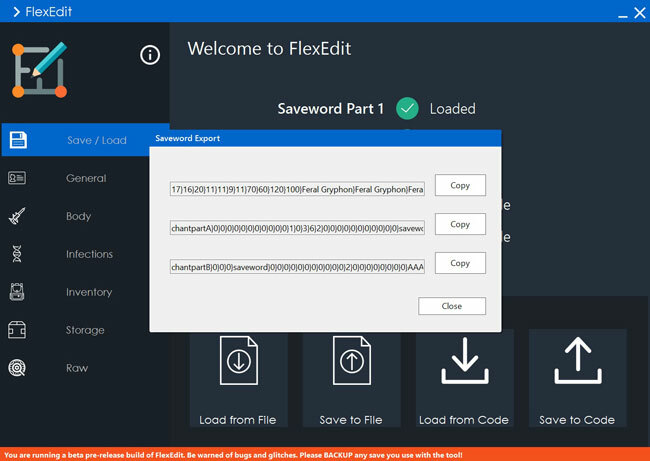 Fixed major issue of crashing when clicking export button with an empty database (saveword not loaded). 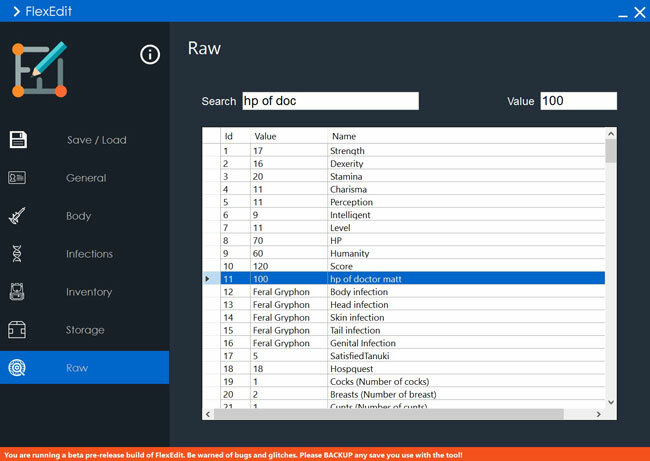 Improved general error handling as well. 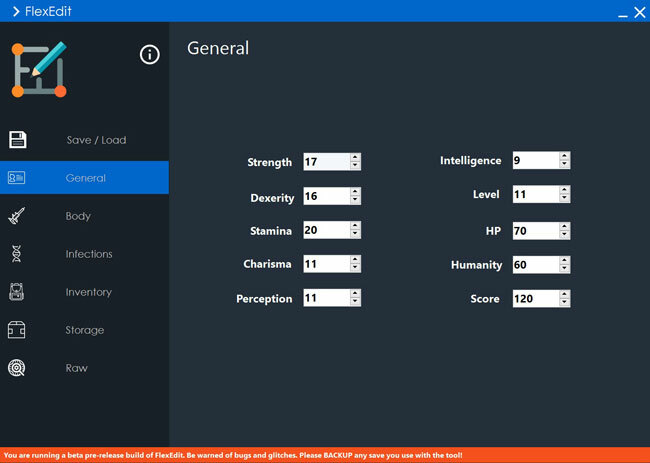 Using official microsoft API now. Still wouldn't call error handling 'robust' though. 5/10/2017 - v1.0.6 alpha -> First prerelease public build, major framework complete but major functions missing. Demonstration build only. Advise against using. Whenever I try to load it I get an error saying there are too many variables if I try to load via code, and when I try to load via save, when I pick the save location it doesn't work either. I have no idea how to use this program. ryuzakku wrote: Whenever I try to load it I get an error saying there are too many variables if I try to load via code, and when I try to load via save, when I pick the save location it doesn't work either. Hi I'll be glad to help with your issue. 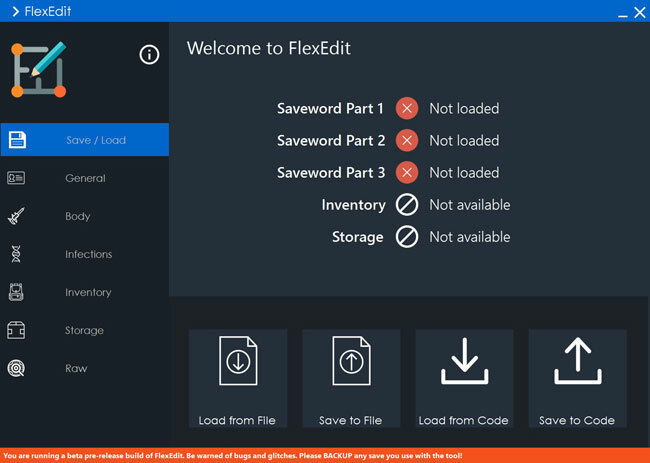 What version of Flexible Survival and FlexEdit are you using? 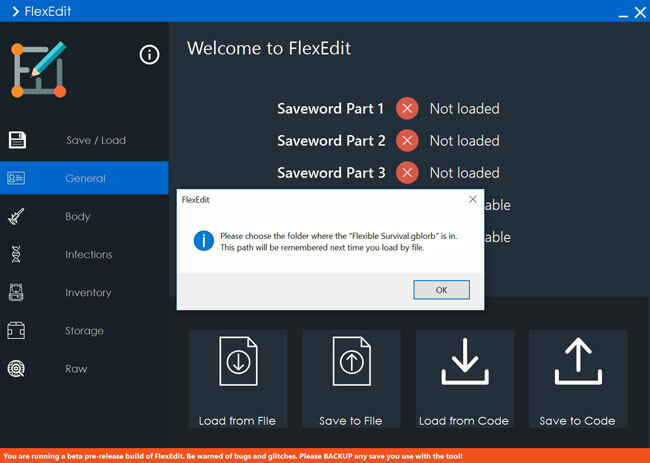 You can get the version number of Flexible Survival on launching the game, and you may click on the info button in FlexEdit to see it's version number. Having a problem with the window seeming to not be at long as it should be, meaning I can't click on the raw values section, and I can't see alot of other things, or scroll down in anyway. Help? Has this project been dropped? I hope this hasn't been abandoned, seeing how there's no way to current edit saves with the current version of the game. darkoraclegirl wrote: I hope this hasn't been abandoned, seeing how there's no way to current edit saves with the current version of the game. There is a way - all the files are pure text, though words in them are shown as their ascii numbers. Not too hard to translate back so you can see what's written (I posted an Excel makro to do so on the Discord too). I'm not on Discord sadly.